Dear Sirs / Madam Greetings!! We would like to introduce Allied Safety for all your industrial PPEs requirements. We are the manufacturer and largest importer of industrial Safety Goggles, Hand Gloves and many other Safety products to give safety at your workplace. Our products are sold under "SUN LONG" brand and it has certified with the CE and European Standard. 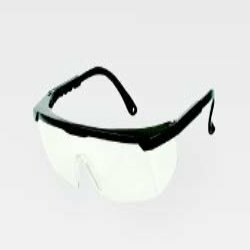 We provide Safety Glasses in innumerable varieties with Hard Coating, Anti Fog and UV protection Coating application to protect the worker's Vision from all industrial hazards and dangers. Further details can be obtained by visiting our website: Our valuable clients are Cadila Healthcare Ltd, Hindalco Industries Ltd, Paushak Ltd, ABB Ltd, ISGEC Ltd, Welspun Corp Ltd, Tuflex India & many more and it will be our pleasure if your esteem company will give chance to us to serve you. We would be very happy to receive your valuable inquires for our product. If you need any further information or clarification regarding our products or services, please do not hesitate to contact us. Look forward for your positive & prompt reply soon. " If Quality is the tool, Safety is the goal. "